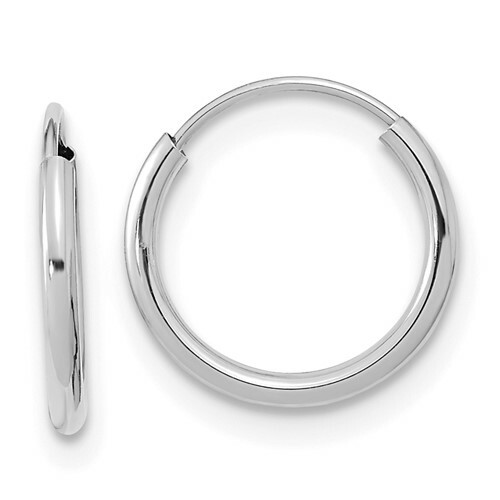 14kt white gold kid's Madi K Endless hoop earrings. Item size: 1/2in x 1/2in. These very small earrings are half the size of a quarter. Import.